Prof. Dr. iur. 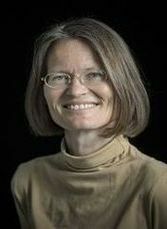 Anne Peters - Director at the Max Planck Institute for Comparative Public Law and International Law Heidelberg (Germany), and a professor at the Universities of Heidelberg and Basel (Switzerland). She is member (substitute) of the European Commission for Democracy through Law (Venice Commission) in respect of Germany (since 2011) and served as the President of the European Society of International Law (2010-2012). Born in Berlin in 1964, Anne Peters studied at the universities of Würzburg, Lausanne, Freiburg, and Harvard. In Basel, she launched the doctoral programme “Law and Animals” in 2013, and is its co-director.